Museum-quality features and finely-crafted details define this model tall ships scale replica Limited Edition of the HMS Victory. Every detail on Admiral Nelson’s flagship is ensured to match her as she fought at the Battle of Trafalgar through devoted attention to historical accuracy. 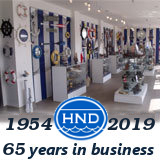 Setting a patriotic nautical tone in a corporate boardroom or family living room, or perhaps as the centerpiece of a den, office or meeting room, this Limited Edition tall model ship is certain to inspire with her patriotic history and indomitable spirit. 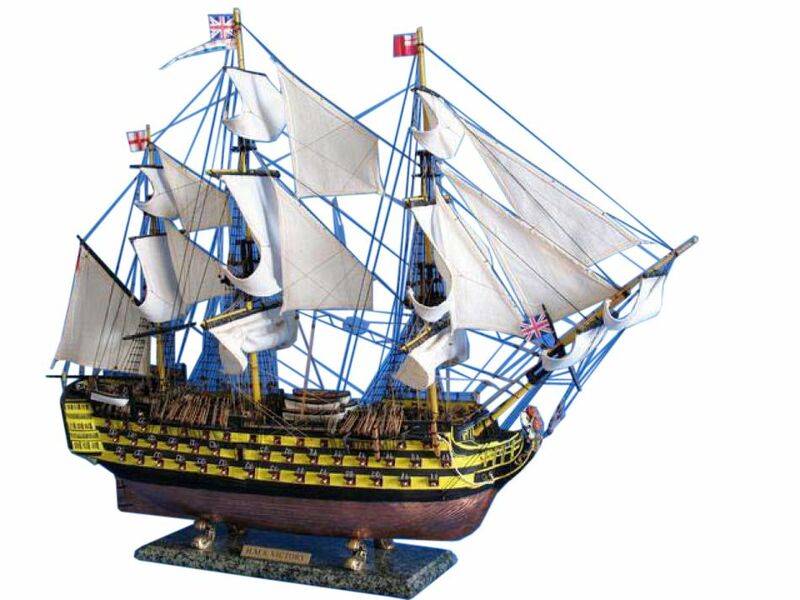 The finest HMS Victory model available! 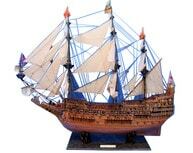 Look at the amazing details including a real metal plated hull.